Lake Front Properties and Residential Lot for sale by owners of B.G.R. Construction, Inc. This is one of the last lots available on this side of the lake! 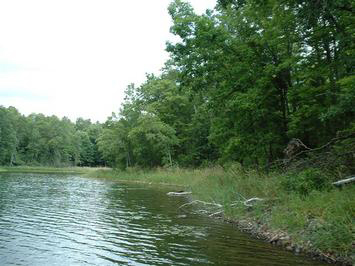 Large lot with gentle slope to the sparkling waters of Ashegon Lake. Catch the sunset or a trout that resides in this unique and ultra-clean lake! One of the only lakes in the area for fly-fishing. Directions: Take Hwy 27/70 to Couderay, north on Hwy CC approx 4 miles to property on left (west) side of road.